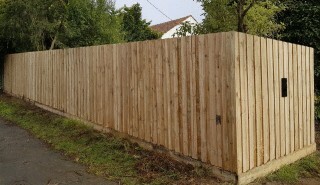 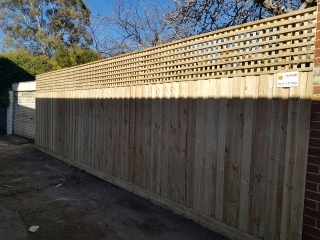 Paling Fences are ideal for side and back fences. 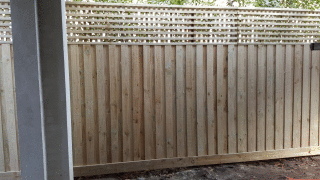 They are also an great option if you are looking for added security and privacy at the front of your property. 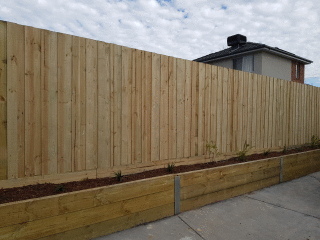 We build Paling Fences at a variety of heights ranging from 1.65 to 2.7 metres. 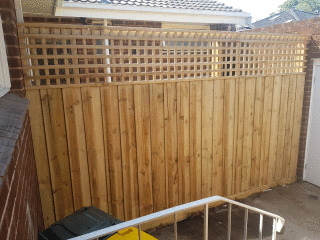 We can finish them with lattice as a decorative feature and capping which preserves the life of your fence. 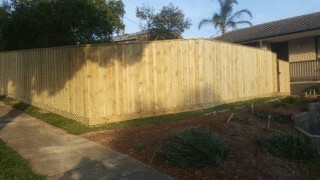 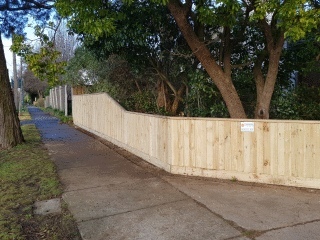 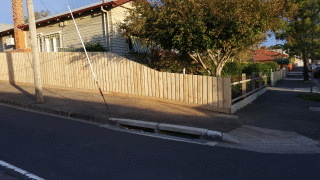 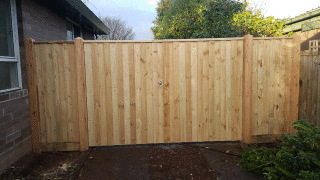 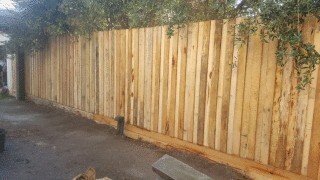 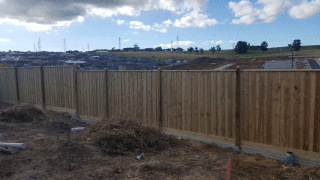 Treated Pine Paling Fence in Chadstone with in built Letterbox. 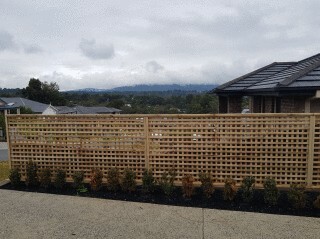 This is a Feature Box Lattice Fence in Lilydale. 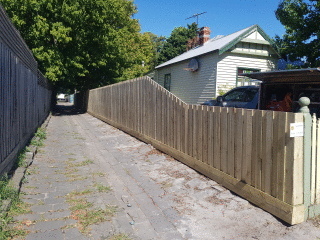 Ideal for garden beds and light wieght creepers. 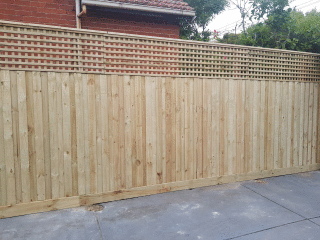 See more fencing galleries for ideas and inspiration for your new fence.